WC DART at the Wilson Co Fair! Wilson Co. 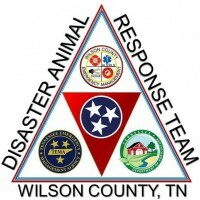 Disaster Animal Response Team had a really great appearance at the WC Fair, this past week. The Team did an outstanding Demonstration in the Ring in the ALL ABOUT DOGS TENT. A big Thank you to Adrienne Molteni for coordinating the Demo,once again this year. Thank you to all who participated in this fun and informative activity…Disaster Preparedness and Animal Care was the focus of the Demo. Adrienne brought her spaniel, Tucker. Karla Clark brought her Belgin Malinois, Gouda, Kim Bradley brought her Border Collie, Bandit, Stephanie Cox brought her Beagle, DeeDee and Lora Holcomb brought Denver, her Standard Poodle, groomed as Scoooby Doo’s sidekick Shaggy! Stay tuned for pics, as his coat was trimmed to make him look like he had Brown bell bottom pants and a green Tshirt! Lora always does a fabulous job grooming Denver, I can’t wait to see what hair style he will be sporting next! Nina Ground, Dee Earnhardt and Breanna and Kix Holcomb also assisted with the Demo. Claudia Richardson photographed the Demo! Stephanie McKee, Matt Bergin, Janie Bell and Anthony Molteni manned the booth and met all sorts of people, some wanting to Volunteer with WC DART! A special Orientation Meeting will be scheduled in September. Date to be announced, for the New Volunteers. Thank you to all who participated in the Wilson Co. Fair!